(Not) Just Another Mom of Twins: Spiritual Sunday- What's Next? Today I want to write about something that I know many people have strong beliefs about and something that I have unconventional thoughts and feelings about. What's next. After we die. Me- "Does that mean you won't be buried and in a graveyard?" Me- "How will I be able to visit you then?" My Mom- "You wont. Besides, that wouldn't be "ME" anymore. My soul will be gone and re-born." Me- "Re-born. What do you mean?" My Mom- "I believe that when I die my soul will be re-born in another body." Me- "What? You mean you don't believe we will be together again in heaven?" I was become visibly upset by this point. My Mom- "Of course we will." Me- "How can you be re-born in another body and still be in heaven with me?" My Mom- "It's just what I believe. I can't explain it." Me- "I believe we go to heaven. That we will be together again in heaven. Shouldn't we believe the same thing? 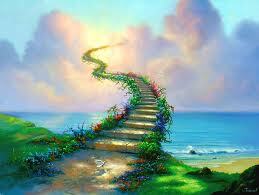 If you don't believe you will go to heaven then how can I believe you will be there when I get there." I was almost in tears by this point. My Mom- "Ginger, I believe that whatever each person believes will be true for them when the time comes. So, if you believe we will be in heaven together and I DO believe this too, then we will. I ALSO believe in reincarnation. How does that all makes sense? Well, I guess it doesn't. But that's ok because it's my own personal, spiritual belief. Because we can not know for sure what happens next we can believe in what ever brings us comfort." Me- "Do you believe in God?" My Mom- Yes, with all my heart. I pray all the time." That conversation profoundly impacted the way I viewed "life" after death. As confusing as that conversation may be to people who have firm beliefs one way or another, it makes total sense to me. I can't imagine not seeing and being with all my loved ones when my time on earth comes to an. Therefore, I believe that we will be together again in heaven. I also can't imagine that this "soul" of mine hasn't lived through different life experiences, prior to the one I am living right here, right now. I feel that some of the knowledge and intuitions I have are far beyond my reach or explanation. That in my short time on earth...in this life, I will have done all that I am intended to do, see, learn and teach all that I have to share. 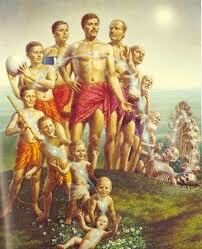 Therefore, I believe in reincarnation. For people who chose to challenge my belief system by saying that's impossible, "You can't have your cake and eat too"...I say to them, "That's not what my mom said!" As long as it makes sense to you...that's what's important.